If you or someone you know is part of the LGBTQ2s community and is addicted to drugs or alcohol, and is thinking about addiction treatment, please call our free addiction consultation line – We can help start the recovery journey. Last Door’s community engagement initiatives plays a major role in helping people rebuild their lives. In 2018 Last Door celebrated the 10th Anniversary of Clean Sober and Proud. To celebrate we hosted a special edition of the Untoxicated Street Festival and created one of our best Recovery Floats in the Vancouver Pride Parade. 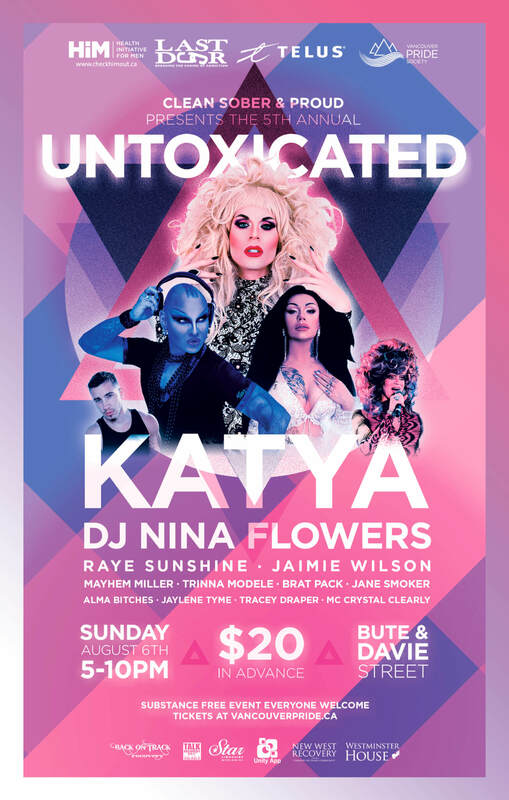 Clients, alumni and the community at large have been celebrating Pride substance free with the help of Clean Sober and Proud. Clean, Sober and Proud represents people who are have overcome their addiction living clean and sober – and proud of it! 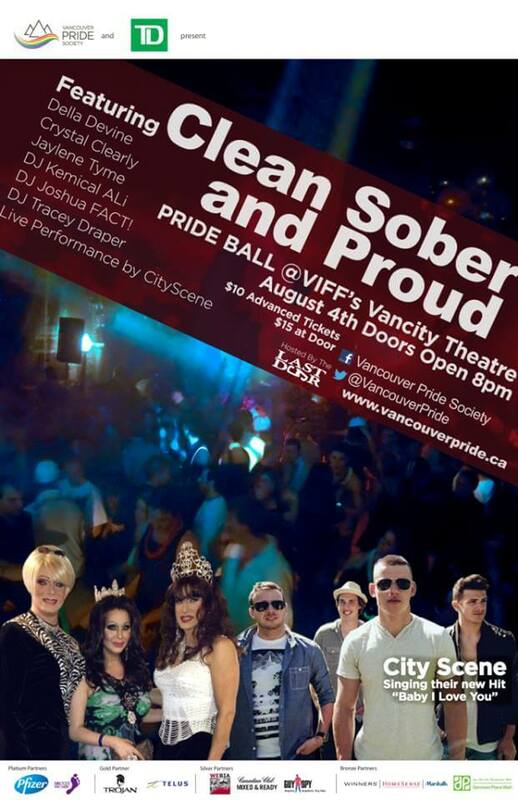 Clean Sober and Proud consists of substance free spaces and outreach booths at LGBTQ2s Pride Day events including Fraser Valley Pride, Surrey Pride, Campbell River Pride, New Westminster Pride, Victoria Pride, East Side Pride and Vancouver Pride. These spaces include outreach booths that encourage addiction recovery conversations. They provide a centralized meeting space for people in recovery from addiction to gather and feel safe and included. 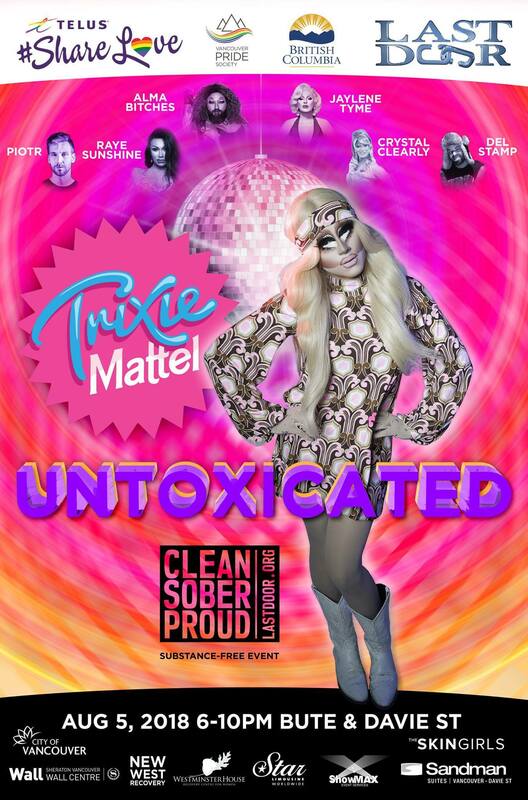 2018 marks the 10 Year Anniversary of Clean Sober Proud. What started off as an event with 9 people, through perseverance has turned into a celebration of thousands. Enjoy the following videos of our version of addiction recovery services for the LGBTQ2s Community, if you cant have fun in life clean or sober, why would you continue to live in recovery? 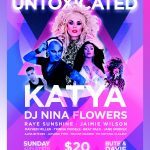 Our events are so dynamic that people who simply wish to enjoy Pride Events Substance Free attend. 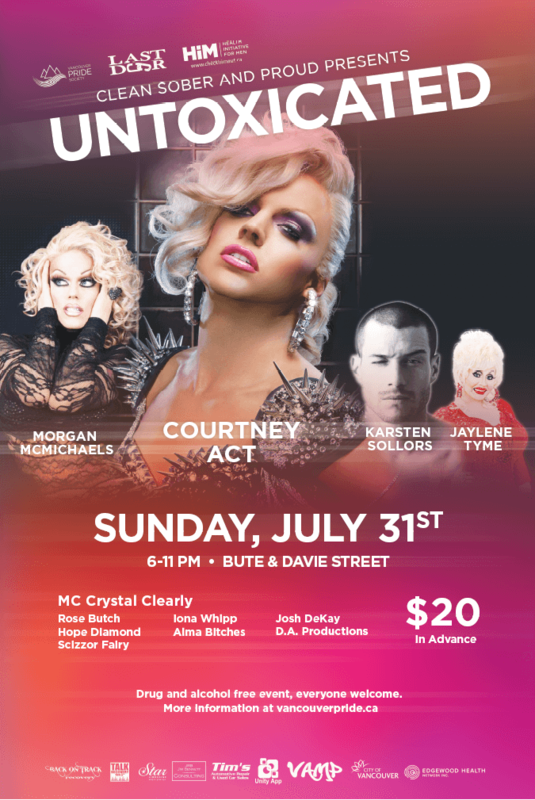 Special thanks to Vancouver Pride Society and Telus for the support throughout the years and everyone in the videos who helped us make history. 2008 – a group of Alumni decided to add a recovery twist to Vancouver’s Pride Day Celebrations, so a committee was formed and born was the Recovery Float idea. Funds were raised and our first entry in Vancouver’s Pride Parade took place, the theme was “Fun in Recovery” with about 8 people were involved with the Float. 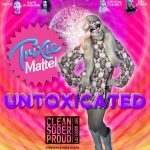 2009 – the committee voted on calling themselves “Clean Sober & Proud!” and won “Brightest Rainbow Award” for its entry in the parade. 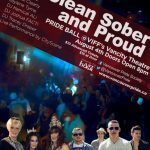 2013- The Vancouver Pride Society votes to Partner with Last Door and support the 1st ever Clean Sober and Proud Party, the dance was held at the VanCity Theatre, Clean Sober & Proud also won “BEST FLOAT” in the Parade, from 8 people participating in 2008, to over 300 people participating. THANK YOU to everyone who helped, danced and donated money and resources for the float and dance. contact: pr@lastdoor.org to get involved. 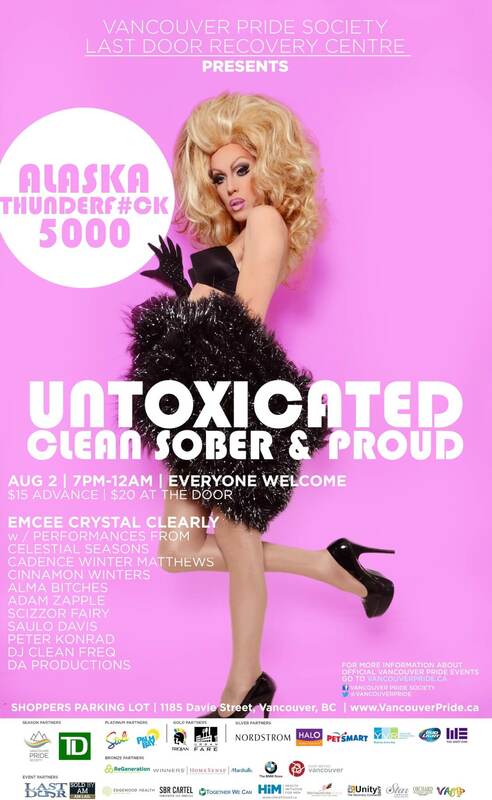 Clean Sober & Proud! is not affiliated with or represents NA, AA, CA or any other 12 step program, we are a group of people having FUN in Recovery! Last Door is a non profit Drug and Alcohol Addiction Treatment Centre and is proud to host Clean Sober and Proud!